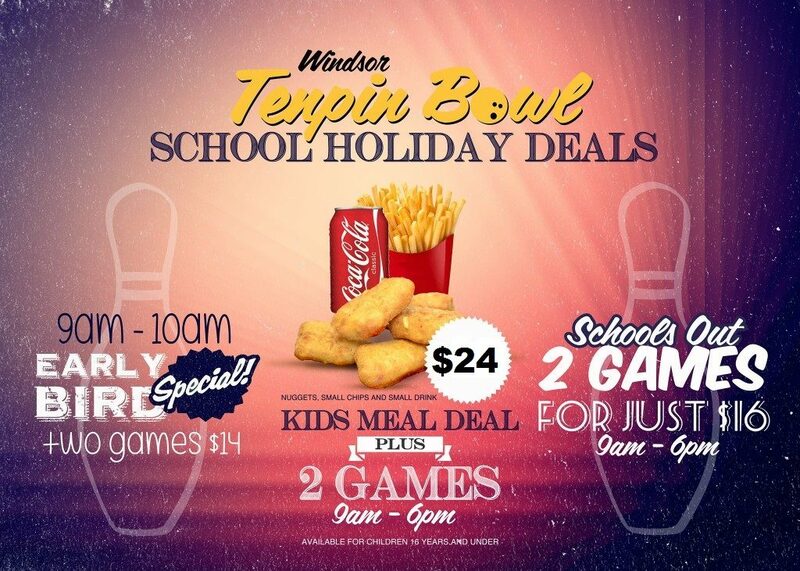 At Windsor Tenpin Bowl you can have the most fun standing up! Come in and enjoy the latest music and watch the videos while sipping or munching on something from our cafe. • All prices include shoe hire. • Family includes 2 adults and 2 children for 1 game per person. • School Holiday Discounts apply, please see below for pricing.